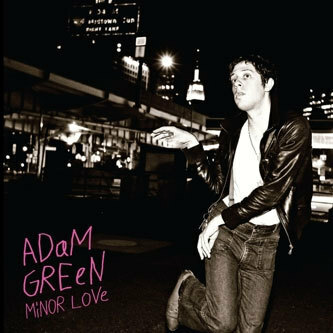 For this latest album Adam Green eschews many of the loungier, croonier tendencies of previous efforts in favour of more rough-edged fare, and from the very start it sounds as if its paying off. During the album's first entry, 'Breaking Locks', Green wearily checks into a hotel and memorably announces: "I took off my winter clothes/My body looked like forty or fifty crows", describing himself as "a barechested ghoul with his cigarette eyes and visible drool" and "too awful to ever be thoughtful". You always get the sense that there's a certain amount of archness behind all this, though the former Moldy Peach dispenses enough inventive self-deprecation to keep you on side. As was suggested by early singles 'Buddy Bradley' and 'What Makes Him Act So Bad' Green seems to be morphing into a kind of ironic composite of Leonard Cohen, Lou Reed and Jonathan Richman, taking in folksy storytelling whilst referencing lo-fi bedroom punk along the way. Further to that you get songs like 'Cigarette Burns Forever', which brings to mind Silver Jews, or Pavement in 'Rangelife' mode. It's in moments like this that you can imagine a more matured Green turning into a songwriter in the Malkmus or Berman vein at some point in the future. Here's hoping.